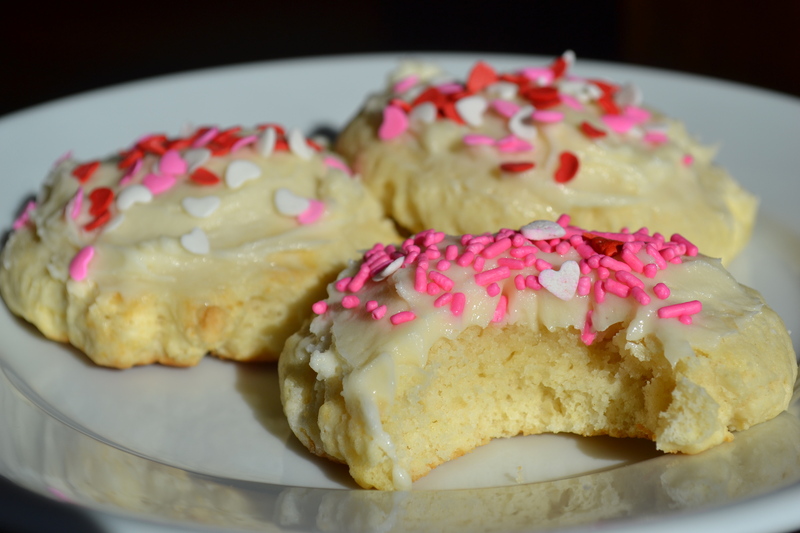 Let me start by saying that I am obsessed with these sugar cookies with a thick layer of frosting that you can buy in a plastic package in the bakery department of my grocery store. So when I saw a picture on pintrist that resembled the look of the famous grocery store cookies I had to give the recipe a try. I decided Valentine’s Day would be the perfect occasion for there to be some sweets in the house (I have been trying to keep sweets out) and I knew my husband would really enjoy that. While the cookies are not exact (I am sure the grocery store ones have some sort of preservatives in them) they are still AMAZING and we haven’t been able to stop eating them. I finally put them out of reach so we could save some for Valentine’s Day. If you want to save your self and not feel the need to feed all your neighbors, I would cut the below recipe in half. This recipe adapted from The Baker Chick made four dozen very large cookies. 1. In a medium bowl whisk together the flour, baking soda, baking powder and salt; set aside. 2. In the bowl of a stand mixer with the flat beater attached, cream the butter and granulated sugar at medium speed until light and fluffy, about 3 minutes. Scrape down the sides of the bowl with a rubber spatula as needed. Add the eggs, one at a time, beating until each is incorporated. Add the vanilla and sour cream and beat at low speed until combined. 3. Add the dry ingredients and beat at low speed until just combined, scraping down the bowl as needed. Dough will be a bit “sticky”. Chill in the refrigerator overnight or at least two hours until firm. 4. 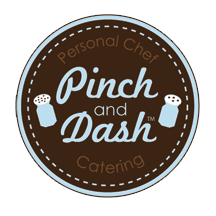 Preheat the oven to 425 degrees F. Line large baking sheets with parchment paper; set aside. 5. Using a small cookie scoop, portion the dough into 1 1/2 inch balls. Place the ball of dough on the cookie sheet. Using the bottom of a glass that you dip into flour, press the top of the cookies to flatten out until they are about 1/4 inch thick and even and smooth. Place them evenly on a cookie sheet and bake for 7 minutes or until pale golden. Don’t over bake! 6. To make the frosting, in a large bowl cream together the butter and vanilla with an electric mixer. Slowly beat in the powdered sugar and the pinch of salt. Once smooth and creamy, add in heavy cream, 1 tablespoon at a time, then beat at medium-high speed for a minute or two until light and fluffy. If desired, add food coloring and beat until combined. 7. Once cookies have cooled, frost and add sprinkles. Allow frosting to set, then store in an air-tight container. Let cookies sit for several hours before serving to allow the flavors to develop. For years now we have been going to my in-laws house for their blow out superbowl party. With up too 100 people some years, a sushi chef and a fully catered menu of everything “superbowl” the party was always a huge success. This year was the first year in probably 15 years they decided to forgo the party and stay in California to avoid the Chicago winter. So we decided to carry on the trend, on a MUCH smaller scale. I did most of the cooking with a some friends bring a few items as well. Overall it was a huge success with way too much food. 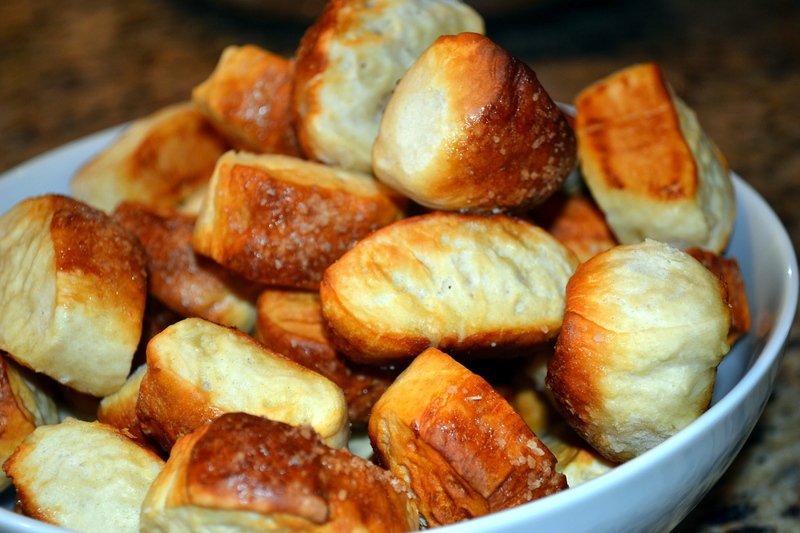 There pretzel bread bites were a huge hit. The recipe is from mrsregueiro.com. In a measuring cup, dissolve the yeast and 1 teaspoon sugar in warm water. Set aside. (Mixture should become foamy – or you have bad yeast or too hot water). In the bowl of a standing mixture fitted with a dough hook, combine the flour, sugars, and salt on low speed. Turn off the mixer and pour the water/yeast mixture and melted butter into the bowl. Turn the mixer on and knead for 6 to 8 minutes until the dough is smooth. If the dough is too dry you can add extra water, a tablespoon at a time. Lightly oil a large bowl. Remove the dough from the mixer and shape into a ball. Place the dough ball in the bowl, cover with a clean towel, and allow to rise for one hour (or until double in size). Towards the end of rising time, preheat oven to 450 degrees and prepare baking sheets with parchment paper and cooking spray. In a large bowl, combine the hot water and baking soda. In a small bowl, whisk together the egg whites and melted butter. Dip the pieces in the baking soda water and place on the baking sheet. Dab with a paper towel if there is an excess of water. Brush each pretzel bite with egg whites/melted butter mixture then sprinkle with kosher salt. Bake for 7-8 minutes, or until browned. Last week I finally did something that I have been wanting to do for years. 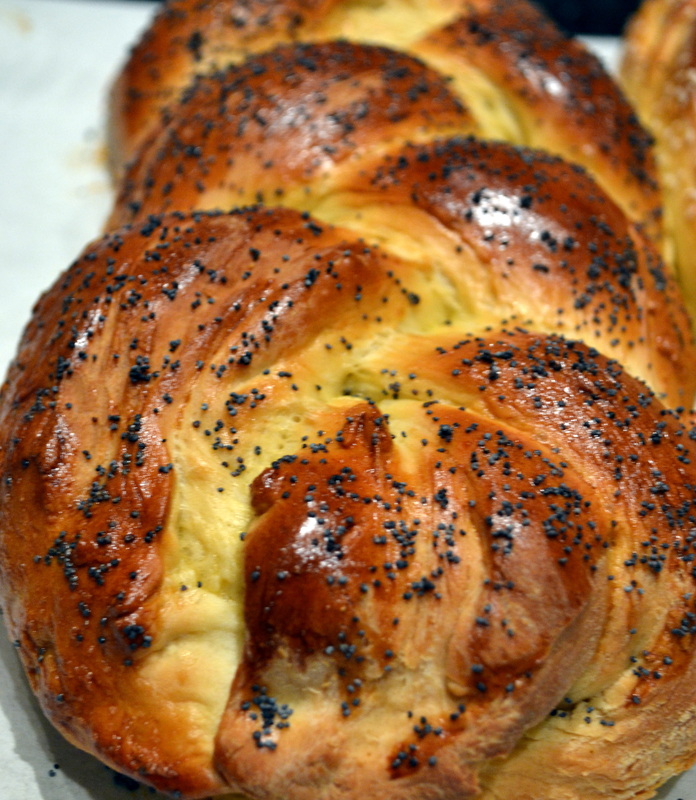 My sister-in-law, my friend and I trekked out to the suburbs, in a snow storm to learn how to make Challah, rugulah, and stuffed chicken from my husband’s grandmother. Now I know I am a chef and I have made all of these dishes a hundred times, but it is something about learning a family recipe that made this day so special. Combine yeast, water and sugar and let stand to activate. In a separate bowl mix flour, salt and sugar. After yeast activates, mix flour mixture, activated yeast, oil and hot water for about 7 minutes (or until it’s no longer sticky). Knead by hand for another 5 minutes. Sprinkle with flour in bowl and let rise (roughly double) for 1 ½ hours in warm area. Punch down and let rise again for another 1 ½ hours. Then form into round or braided, can also placed in loaf pan. Let rise another hour. 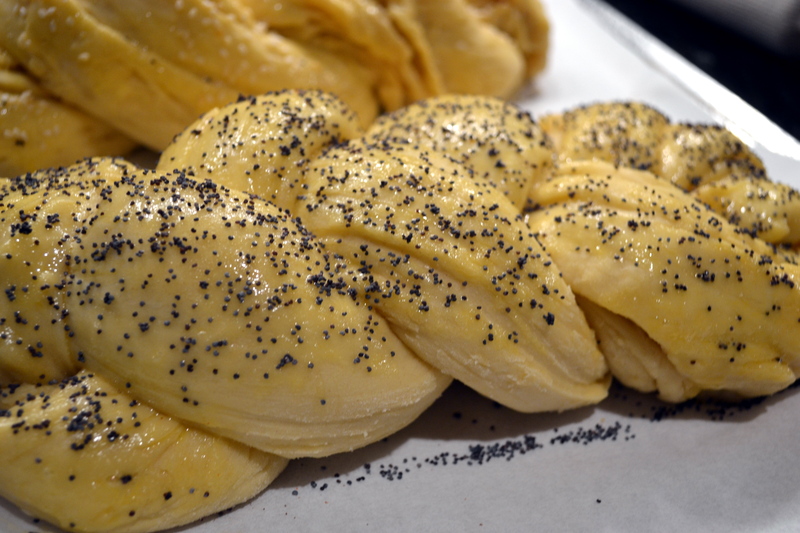 Brush the top with egg wash and sprinkle with poppy or sesame seeds. Bake for ½ hour at 300 degrees then increase oven temperature to 350 degrees for another 10 minutes. Watch so it doesn’t burn. After weeks of my sister-in-law begging me to make these “low-fat” cookies, which I knew she wouldn’t even eat, I finally gave in the other night. While they are low in fat, the sugar content is still high and the way I eat cookies (and dough) there is no such thing as “healthy” cookies in my life. Oh, and I was correct, she ate ONE cookies and wouldn’t take any home. Position 2 racks in the upper and lower thirds of oven. Heat oven to 350°. Line 2 large baking sheets with parchment paper. Place walnuts on a work surface and finely chop. Transfer to a separate large baking sheet and toast until fragrant, about 9 minutes. Let cool. Mix sugar, cocoa and salt in a bowl. Stir in walnuts. Add egg whites and vanilla; beat with a fork or electric mixer on medium until batter is just moistened. (Do not overbeat batter or it will stiffen.) Drop batter by the teaspoonful onto baking sheets in evenly spaced mounds. 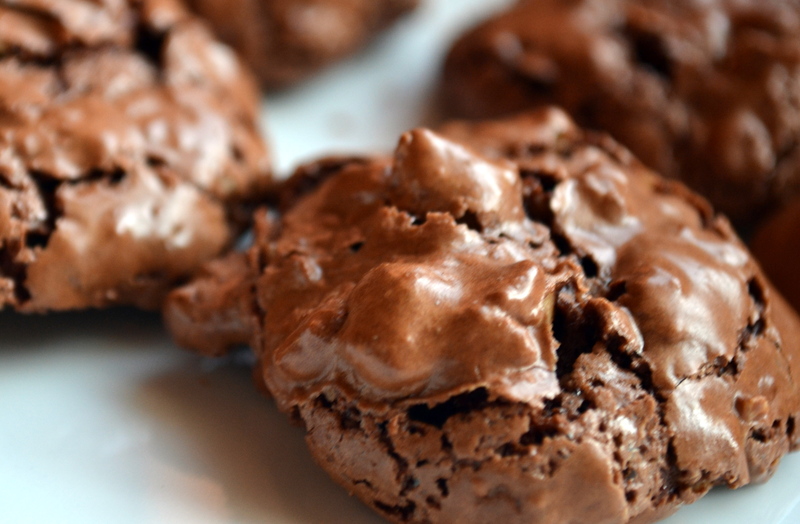 Bake cookies until tops are lightly cracked and glossy, about 15 minutes. Repeat with remaining batter. Along with all the traditional Hanukkah foods like brisket and latkes, this year i decided to add to the mix and incorporate some more vegetables in the meal. 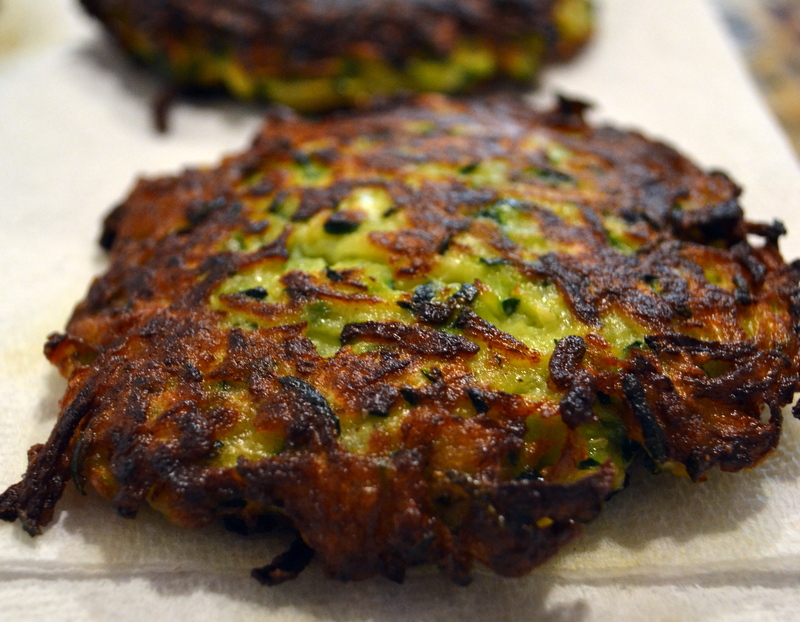 I took a traditional potato latke recipe and replaced the potatoes with zucchini. This was mostly inspired by my friend who doesn’t eat a lot of carbs. However, I did see her sneak a few regular potato latkes as well. They were really good and she said totally worth it! Using a grater or the grater attachment on the food processor, shred all the zucchini and the onions. Mix in a bowl and squeeze dry in between a few layers of paper towel. Add eggs, flour, salt and pepper and stir to combine. In a large nonstick pan, placed over high heat, add the canola oil. You want the oil to be pretty hot before you drop in the pancakes. Once oil is hot carefully drop in about 1/4 cup of the zucchini mixture and press lightly to flatten out. Cook for 3-4 minutes until golden brown on one side, flip and continue to to cook another 3-4 minutes. Remove from pan and place on a paper towel to drain. Don’t over crowd the pan. If the oil in the pan gets low, add more and heat before placing in more pancakes. Serve immediatly. Side note: These need to be served immediately. Unlike potato latkes that you can freeze and reheat, these do not taste as good reheated, the get soggy and do not crisp back up. A great double birthday celebration for the twins last night. 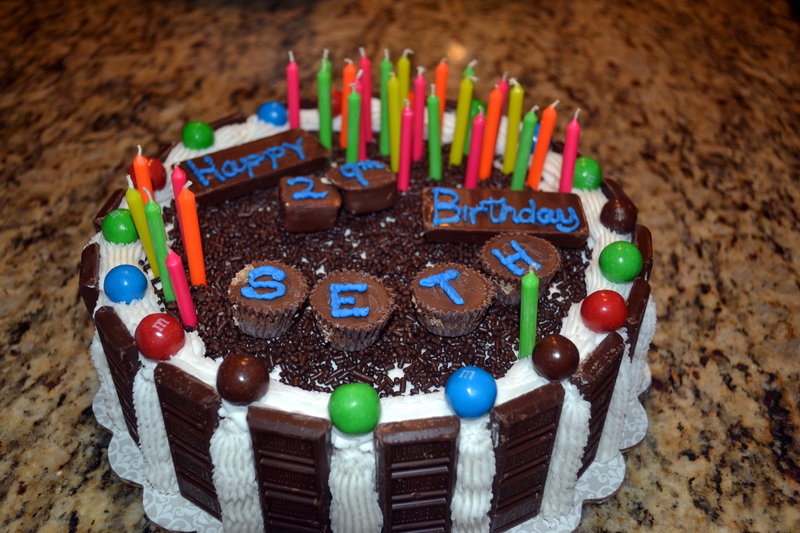 My husband requested a chocolate cake covered in candy, so not only is this cake covered in candy it also has a center layer of M&Ms. 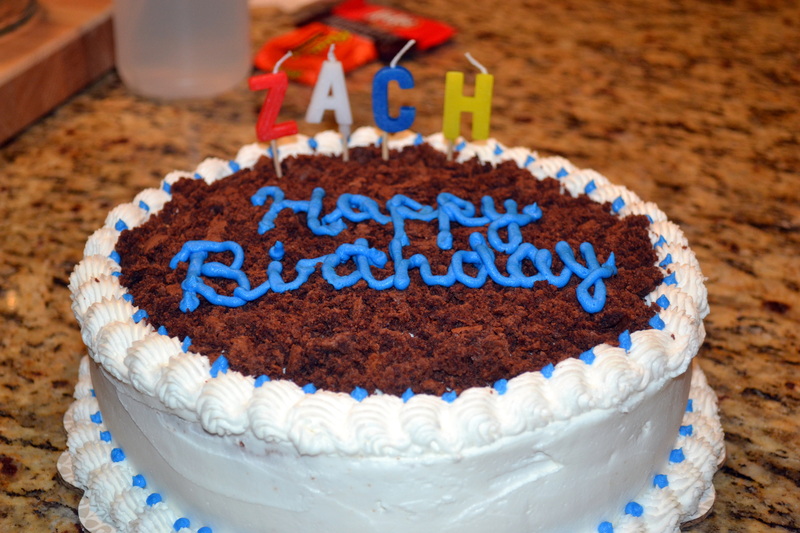 The cake for his twin brother is stuffed with Paula Deen’s, Chocolate Gooey Butter Cookies. Both cakes were delicious, hard to say if there was a favorite, but I think they were both loved equally!